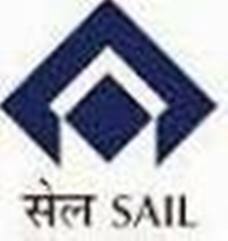 Steel Authority of India Limited - SAIL published an official notification for Recruitment of Operator & Attendant for 275 posts. Eligible candidates can apply for this recruitment. You can view more details about this recruitment including No. of posts, name of post, Educational qualification, Age limit, Selection process, How to apply etc... You can also view official notification and other important facts about this recruitment e.g. Important links and Important dates. Matriculation & Three years full time Diploma in Engineering from Govt. recognized institute in Electrical, Mechanical, Metallurgy, Chemical, Ceramics & Instrumentation discipline. Matriculation and 3 years full time Diploma in engineering from Govt. recognized Institute with 1st Class Certificate of Boiler Competency. Matriculation and passed All India Trade Test conducted by NCVT, Govt. of India after completing the stipulated period of training as Trade Apprentices in an Integrated Steel Plant. Matric + ITI from Govt. recognized Institute in Electrician, Machinist, Welder, Fitter, Rigger trades only.